World-renowned evangelist and Biblical scholar John Stott died Wednesday at 3.15 p.m. local time in London (10.15 a.m. EST), according to John Stott Ministries President Benjamin Homan. Homan has reported that Stott’s death has come following a few weeks of discomfort, and that the death was simply related to complications related to old age. 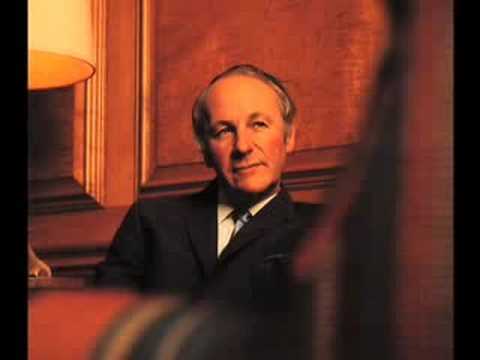 Stott, who died at 90, retired from public ministry in 2007 when he was 86 years old. He spent his retirement in the College of St. Barnabas, Lingfield, which is a residence for retired Anglican clergy. The English Anglican leader is revered for his ministry life. The world famous evangelist, the Rev. Billy Graham, described him as "the most respected clergyman in the world today." 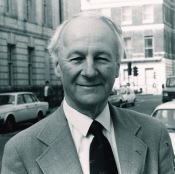 John Stott at his desk. Stott is best known for his many books, especially Basic Christianity (InterVarsity Press), a clear statement of the gospel of Jesus Christ that has been translated into over sixty-three languages; The Cross of Christ (InterVarsity Press), which former InterVarsity Press publisher James F. Nyquist says “demonstrates the depth of Stott’s understanding and lifetime commitment”; Christian Mission in the Modern World(InterVarsity Press), in which Stott makes the case that Christian outreach must encompass both evangelism and social action; Your Mind Matters (InterVarsity Press), a forceful appeal for Christian discipleship that engages the intellect as well as the heart; and The Birds, Our Teachers (Baker), a study on birds combined with biblical truths and personal anecdotes. InterVarsity Press has also published a biography of John Stott entitled, Basic Christian by Roger Steer. 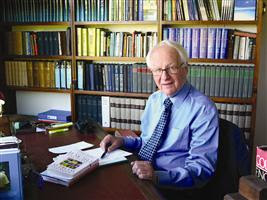 Stott was also the New Testament editor and a major contributor for the highly acclaimed Bible Speaks Today commentary series. It could be that you have never heard of John Stott. I don't blame you. As far as I can tell, Stott has never appeared on an important American news program. A computer search suggests that Stott's name hasn't appeared in The New York Times since April 10, 1956, and it's never appeared in many other important publications. There's been a lot of twaddle written recently about the supposed opposition between faith and reason. To read Stott is to see someone practicing "thoughtful allegiance" to scripture. For him, Christianity means probing the mysteries of Christ. He is always exploring paradoxes. Jesus teaches humility, so why does he talk about himself so much? What does it mean to gain power through weakness, or freedom through obedience? In many cases the truth is not found in the middle of apparent opposites, but on both extremes simultaneously. Stott is so embracing it's always a bit of a shock — especially if you're a Jew like me — when you come across something on which he will not compromise. It's like being in Mister Rogers' Neighborhood, except he has a backbone of steel. The New York Times also has a very good summation of his life here. I have been amazed reading the tributes to the personal impact Uncle John's teaching had on them by people right across the Globe. I say that as one of them. God has blessed us with John Stott's ministry...which continues to grow, because he planted seeds which are now flourishing trees and vines and in turn producing fruit and new seeds. Perhaps looking back we will see we had a prophet sent to us.